Access to safe water is the most important provision to have on hand in times of emergency. FEMA recommends having access to 1 gallon of water per person per day for a minimum period of 3 days. That's 3 gallons of water per person. Emergency Water can be obtained by buying it outright or retrieving it from existing water sources such as your water heater. 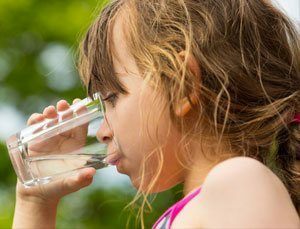 Contaminated water can be made safe to drink with water purification tablets or a water purifier. In terms of packaged emergency drinking water, we offer space saving Mainstay Water Pouches, convenient Puravai Water in a Reusable Canteens, and Long Shelf Life Blue Can Water in cans. Emergencykits.com offers solutions to meet the needs of every emergency situation. 5 YEAR - This emergency drinking water has a 5 year shelf life.